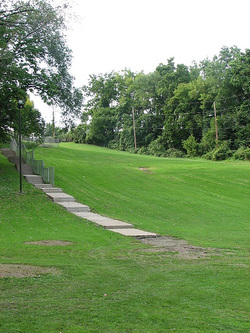 Cascade park is very popular for Elyria, this park has a playground along with a front seat view of the Black River. Families bring their children down by the river to feed the ducks and geese. Walking through the woods allows you to explore how the Indians survived by viewing special landmarks. There is always a new adventure when you go to Cascade Park. You can also see the East and West Falls, the Ford, Pink Floyd Rock, the East Falls ruins and much more while hiking through the woods. Below is a link to learn more about the hiking trails you can take in the park.